Who Made Hollywood Into Hollywood? SARAH LONG: I’m Sarah Long. STEVE EMBER: And I’m Steve Ember with PEOPLE IN AMERICA in VOA Special English. Today we tell about three people who helped make Hollywood the center of the movie industry. SARAH LONG: When you hear the name Hollywood, you probably think of excitement, lights, cameras and movie stars. Famous actors are not the only important people in the entertainment business. Directors and producers are important, too. Today, Hollywood is full of producers and directors. However, very few are as famous and successful as Hollywood’s first motion picture businessmen, Cecil B. DeMille, Samuel Goldwyn and Louis Mayer. STEVE EMBER: Cecil Blount DeMille was born in Ashfield, Massachusetts in Eighteen-Eighty-One. Both his parents were writers of plays. His father died when he was twelve years old. His mother kept the family together by establishing a theater company. Cecil joined the company as an actor. He continued working in his mother’s theater company as an actor and a manager until nineteen thirteen. That year, he joined Jesse L. Lasky and Samuel Goldfish to form the Jesse L. Lasky Feature Play Company. Goldfish later changed his name to Samuel Goldwyn. DeMille urged that the movie be made in the real American West. He chose Flagstaff, Arizona. DeMille and the company traveled to Flagstaff by train. When they arrived, DeMille thought the area looked too modern. They got back on the train and kept going until they reached the end of the line. They were in a quiet little town in southern California. The town was called Hollywood. DeMille decided this was the perfect place to film the movie. DeMille gained a great deal of fame with the kind of movie known as an epic. An epic tells a story of events that are important in history. DeMille’s epic movies were based on the settling of the American West, Roman history or stories from the Bible. His first version of the historic film “The Ten Commandments” was a huge success among silent films in nineteen twenty-three. In nineteen fifty-six, he released a new version of “The Ten Commandments” to include sound. It is broadcast still on American television during the Christian observance of Easter. SARAH LONG: Cecil B. DeMille produced and directed seventy movies. In nineteen Forty-Nine he received a special Academy Award for “thirty-seven years of brilliant showmanship.” He died of heart failure in nineteen fifty-nine. One of DeMille’s last films was “The Greatest Show on Earth.” It won the Academy Award for best picture in nineteen fifty-two. It was about people who performed in the circus. Some people say it was a fitting subject because Cecil B. DeMille often was called the greatest showman in Hollywood. STEVE EMBER: In eighteen ninety-five, a thirteen-year-old boy from Warsaw, Poland found his way to the United States. Samuel Goldfish was alone. He had no money. He found work as a glove maker. He continued working in the glove-making industry until he was almost thirty years old. In nineteen thirteen, Samuel worked with Jesse Lasky and Cecil B. DeMille to make the movie “Squaw Man. Three years later, Goldfish started a business with Edgar Selwyn. They combined their names Goldfish and Selwyn and called the new company Goldwyn. Samuel Goldfish liked the name and changed his to Samuel Goldwyn in nineteen eighteen. The Goldwyn Company made many successful motion pictures. Yet, the company was not a financial success. In nineteen twenty-two, Samuel Goldwyn was forced to leave the company. The Goldwyn Company then joined with Metro Pictures and Louis B. Mayer Productions to form Metro-Goldwyn-Mayer, known as MGM. Samuel Goldwyn was not part of the deal. He promised never to be a joint owner of another company. He formed his own company Samuel Goldwyn Productions. Goldwyn usually paid for his films himself. He bought the best stories and plays to be made into movies. He employed the best writers, directors and actors. And he discovered new actors including Lucille Ball, Gary Cooper, Susan Hayward and Will Rogers. Goldwyn was extremely independent. He had a strong desire to control every element of the production and marketing of his films. He made all decisions concerning his films including choosing directors, actors and writers. 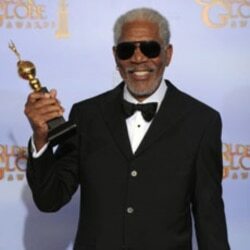 His best films include “The Little Foxes,” “The Best Years of Our Lives” and “Porgy and Bess.” His movies received many Academy Awards. In nineteen forty-six, Goldwyn received the Irving Thalberg Memorial Award for his excellent movie productions during the Academy Award ceremonies that year. He died in nineteen seventy-four. Samuel Goldwyn was in the movie business for almost sixty years. He is considered one of the most influential film producers ever. SARAH LONG: Louis B. Mayer began as a theater operator in Havermill, Massachusetts in nineteen seven. Over the next several years he bought more theaters. Soon he owned the largest group of theaters in New England. In nineteen seventeen, Mayer formed his own movie production company. In the early nineteen twenties, Louis B. Mayer Pictures joined two other companies to form Metro-Goldwyn-Mayer. 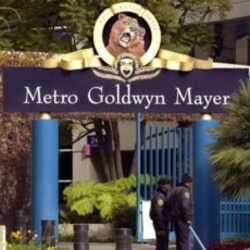 Mayer was appointed vice president and general manager of Metro-Goldwyn-Mayer. He had a strong, fatherly way of supervising the company and actors. STEVE EMBER: In the nineteen thirties and nineteen forties, Louis B. Mayer was the most powerful businessman in Hollywood. He earned more than one million two hundred thousand dollars a year. He was paid more than anyone else in the United States. In nineteen fifty, Mayer received a special Academy Award for excellent service to the motion picture industry. He died in Hollywood, California in nineteen fifty-seven. He was seventy-two years old. SARAH LONG: Cecil B. DeMille, Samuel Goldwyn and Louis B. Mayer are remembered for their excellent movies and their continuing influence in the motion picture industry. They led the way for movie producers and directors of today and those still to come. STEVE EMBER: This program was written and directed by Lawan Davis. Our studio engineer was Keith Holmes. I’m Steve Ember. SARAH LONG: And I’m Sarah Long. Join us again next week for People in America in VOA Special English.